Taken from the lower slopes of Haycock, this shows the rough nature of the ground leading to Seatallan. 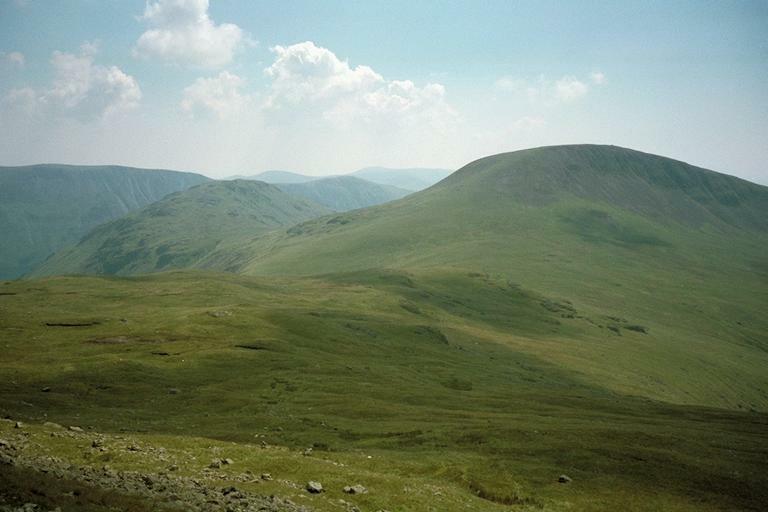 Middle Fell appears to the left with Illgill Head and Whin Rigg beyond, and Hesk Fell, Whitfell and Buck Barrow even further. Smaller version of this picture.